Unless you are a master of austere frugality, you probably spend some money to have fun. People do this in a lot of ways, deriving benefit from each activity according to personal value system. Whilst we hate unnecessary and wasteful spending at Moneystepper, we are all for people spending money on the things that they truly love and need. Some people travel, to see more of the world and learn about themselves. Others seek out entertainment, enjoying the time with friends and finding stimulation in the scenes, sounds, and stories they take in. Others buy newer, faster than they don’t need, but get a lot of enjoyment out of the decision. The common thread between all of these expenses is that none of them offer any financial payback. Once the money is gone, it’s gone. Many people are fine with this. It’s commerce, after all. But some people won’t be OK with this exchange, especially those who think a lot about improving their financial future. Are you a nerd for one activity of entertainment form? Blog about it. Or make tutorial videos for Youtube. It’s amazing how many people make a career of their passion in this simple way. You have no idea how many Minecraft users now live off of the ads they sell through their Youtube channels, devoted to tips and tricks for the gaming community. The same is true for devotees of electronic music, and expensive electronic music gear that is so popular right now. Tutorial makers are finding themselves sponsored by numerous designers, getting free gear out of their passion. So, if you’ve spent a lot of money on a pass time, give back to that community and let them give back to you. Its just one of many ways to earn extra income online. Other people may wish to invest in the market not only with the objective of long-term gains, but also for the form of entertainment. For example, spread betting is a fast-paced form of day trading where users bet on whether a stock or market is going to gain or lose value. If, after a given time, they get it right, they win according to how much the stock jumped or dropped. If they get it wrong, they lose the same way. You can make a near infinite number of bets very quickly, because the process is almost exclusively digital, residing on United Kingdom servers. This is the highest risk, highest reward side of investment you are likely to find, and people who get good at it make a lot of money. These winnings are also tax protected, which is a plus. Entertaining and potentially profitable, spread betting is a great way to play with your money. These are just two ways to monetize your entertainment. They might not be the optimal ways to earn long-term goals, but if you understand that you are giving up some financial gain in exchange for entertainment, they can be great options. But, there are lots more. Making money is inherently enjoyable. Let’s face it. Find a way to combine it with something you already like to do and you’re home free. 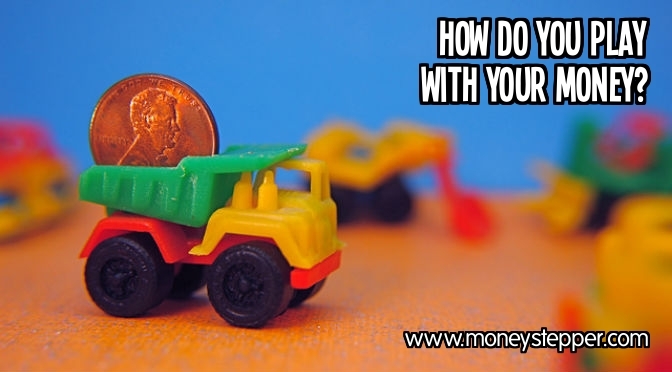 By making more money this way, you’ll have more time to do what you want to do…which is how you make your money…which is fun….which…you get the idea. One of my goals next year is to focus on passive income and somehow find a way to teach people to make good quality videos for blogs. I have a little hobby and I found that if I put PDF patterns up on Etsy, people will pay for them. Pretty sweet deal for me! I like seeing how much people make, so naturally, I do their taxes. I’m trying something that seems like a lot of fun and has good promising returns. Haven’t found anything who’ll pay me for my hobby of sleeping, though. I love to fire up my smoker and grill, and I’ve had people suggest I get into catering. I don’t think I’d ever do it though….as soon as I *have* to do it, I’m afraid the fun will get sucked out of it. Great point Brock. There’s always (quite rightly) the fear that you could actually ruin a hobby that you love doing by making it your job. For a year after I left University I played poker full time. I made a very good living from it for that year, but what started as a dream job quickly became a very tedious life of working from 6pm – 5am (working in the UK at the same time that the Americans played), constant research and study, etc. This is such an interesting look on making money while you’re enjoying. I quite agree with this. If you spend too much money or time on a hobby, there are lots of ways to earn from it. You can make videos on YouTube or blog about it. Heck, you can also start teaching it, like some skills for example, for money. It’s a win-win!